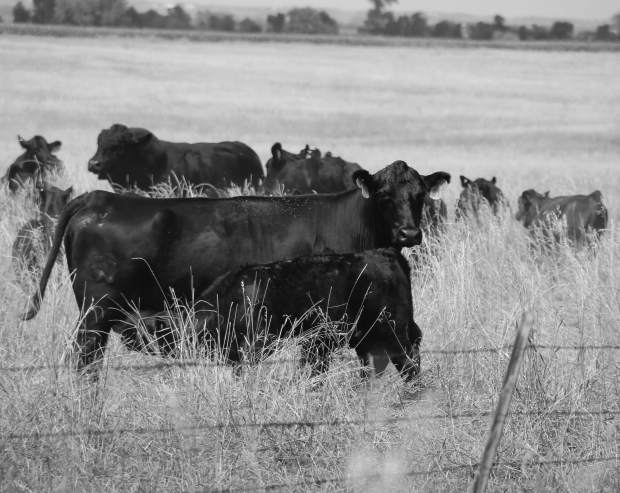 Fair weather isn't the only blessing beef producers need to enjoy a profitable year between now and the end of 2014. 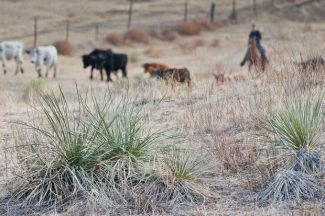 However, favorable weather conditions would benefit beef producers in the Great Plains, and weather forecasters say cattlemen in the Great Plains could see at least average moisture and somewhat warmer temperatures, especially in Nebraska, Iowa, Kansas, Oklahoma and Texas. Dan Collins, Ph.D, Research Meteorologist and Seasonal Forecaster at the National Oceanic and Atmospheric Association (NOAA) says current weather conditions don't provide a clear indication of either above or below average precipitation for the next 12 month period in the Dakotas, Nebraska, Iowa, Kansas, Oklahoma, Texas, Wyoming and Montana. "El Nino and La Nina are important factors in seasonal climate variations and currently we have neither," Collins says. "The tropical Pacific is in a neutral state, similar to average conditions. We will most likely continue to have a neutral tropical Pacific for the next several months, and the outlook is uncertain for winter and beyond. Computer models also do not have any clear indications for the precipitation outlook in this region, but variability in the forecasts shows that above or below average precipitation are both possible." Nebraska Cattlemen President Dale Spencer at Brewster, Neb., says improved weather conditions would give Nebraska beef producers a much needed boost. "As far as moisture through spring and summer we've had times of good moisture, then it's dried out again in some areas," Spencer says. "In the Sandhills we've been pretty fortunate. It was dry through May then we saw good moisture through June which got pastures going. Even average moisture is going to be a real positive impact on the beef industry." Spencer notes that forage production is critical to the beef industry and average moisture would help replenish depleted hay reserves which dwindled during the 2012 drought. Collins reports that it's likely that Texas, Oklahoma, Kansas, Nebraska, Montana and Wyoming will see above average temperatures into winter. The Dakotas and Iowa could see that warmer trend at least for Fall 2013. "After the middle of winter, the outlook becomes more uncertain for northern states in the region," Collins says. "Above average temperatures continue to be more likely than below average temperatures for Texas, Oklahoma, Kansas and Nebraska, in particular, well into 2014. Without an expectation of La Nina or El Nino, the long term temperature trends are the most important factor in the seasonal outlooks. Temperatures have been more likely to be above average in recent years in these regions when compared to long term averages." Spencer sees a trend for warmer temperatures over winter as an added bonus for beef producers. "It seems kind of strange, but warm temperatures going into winter may allow the growing season to extend a bit," Spencer says. "Cold temperatures require more feed, so warm temperatures moving into fall and winter would be a positive thing. In eastern Nebraska some we saw some warmer temperatures this summer, but compared to 2012, we've been blessed with cooler temperatures in the western part of the state. In the face of the drought that's been a real asset. It's a catch 22, but snowfall doesn't amount to that much as far as moisture. If we do see snow, spring snows would be most beneficial because there tends to be more moisture in it and that could initiate a moisture trend that extends into the summer months." According to NOAA statistics, drought conditions have persisted throughout much of Texas, Oklahoma, Kansas, Nebraska and Wyoming, as well as southwestern parts of South Dakota and Montana. Drought is severe in much of Texas and Wyoming, as well as western parts of Oklahoma, Kansas and Nebraska. Drought is severe in small areas of southwestern Montana and South Dakota as well. Spencer notes that many Nebraska beef producers report that many ponds which typically provide water supplies are still dry this year. "In the 1960s and 70s, when I was growing up, we had much less sizable ponds or even dry spots that held water from the 80s on. I would guess that was because of recovery from drought in the 1950s," Spencer says. "I believe unless we have a huge rainfall and some years of above average moisture, it will take time and years to replenish that. We won't alleviate this drought over the next 10 months. Hopefully Mother Nature will cooperate and bless us at least with average rainfall." Development of El Nino or La Nina in the tropical Pacific would strongly influence climate conditions in the next year. Collins notes that the outlook is that neither are likely to develop in the next few months, but either could develop in 2014. "Development of a La Nina would lead to a greater chance of below average rainfall next summer for much of this region from Texas to the Dakotas and all the states mentioned here, including Wyoming and Montana," Collins says. "However, we cannot forecast La Nina or El Nino this far in advance. Long term climate trends of recent decades will continue to influence the weather and climate through the next 12 months. The greater likelihood of above average temperatures, especially for southern regions, leads to drier conditions in (northern) parts of Texas and western Oklahoma, Kansas and Nebraska, in long term trends. Other variability in the climate could, however, lead to above average rainfall." Collins says weather conditions indicate that drought is expected to continue for most of the regions currently in drought. Western Texas may see drought relief due to normal seasonal rainfall. Drought is predicted to develop in central Oklahoma. Normal seasonal rainfall in the coming three months will not eliminate drought in the regions where it is severe. Spencer and his fellow beef producers know weather isn't the only foe they'll contend with over this next year. "Feeder cattle prices are extremely strong with cattle shortages," Spencer says. "I expect bred female prices to remain extremely strong because of the low numbers situation. Cowherd numbers really concern me in regard to long term strength in the beef industry. To be vibrant and successful over the long term we have to rebuild the cow herd. Another component is the drought of 2012 really depleted hay reserves. We all know what's been going on in pursuit of ethanol and the amount of acres being removed from hay and forage production. Pastures as well. It can be pretty shocking driving down the road and seeing pastures, habitat, etcetera being put into grain production. It's not talked about a lot in the media, but it's a huge concern among beef producers. "I don't have the answers," Spencer adds. "For the producer's side it's distasteful to see so many pastures go into grain production." "For the beef industry to be vibrant we have to rebuild hay stocks at some point," Spencer adds. "What my education taught me is that the beef animal is still a ruminant, so forage is critical component of the beef animal's diet. We have seen forage supplies really stressed. As beef producers look into the future, hay production is a critical component of our future success." Spencer further notes that record cattle prices don't necessarily mean record profits. With high feed and input costs, beef production has become a huge challenge. "Thank God we have strong feeder cattle prices," Spencer says. "But our feedlots have to start making money. They've bled red ink for the past two years. That industry has to see a lot of recovery. If they can return to profitability it will mean a lot to the longterm health of our industry.